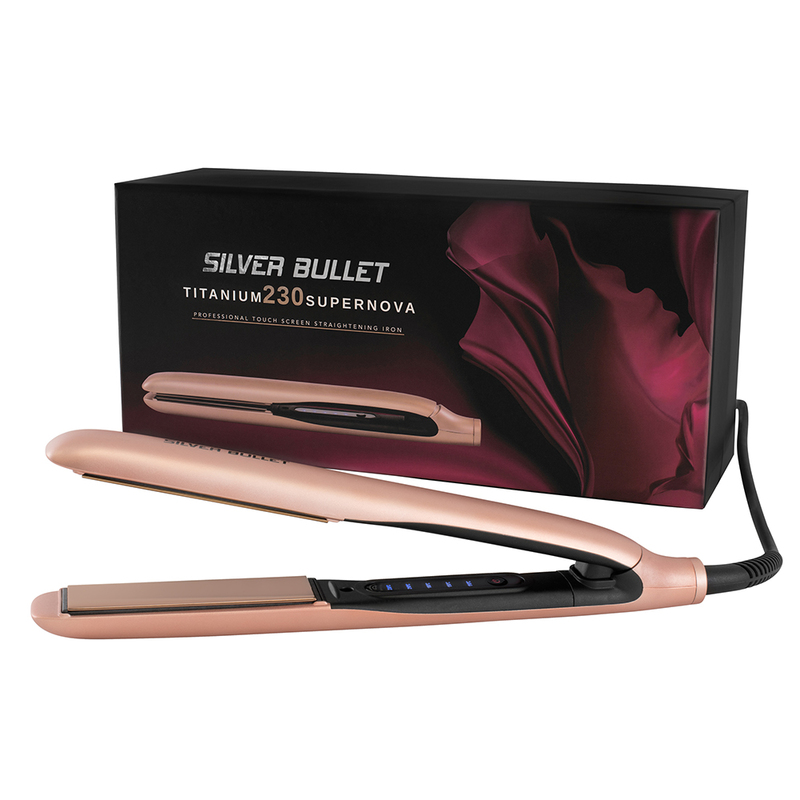 Now Silver Bullet introduces the special edition Silver Bullet Titanium 230 Supernova Hair Straightener, featuring clever touch screen on/off and temperature controls. 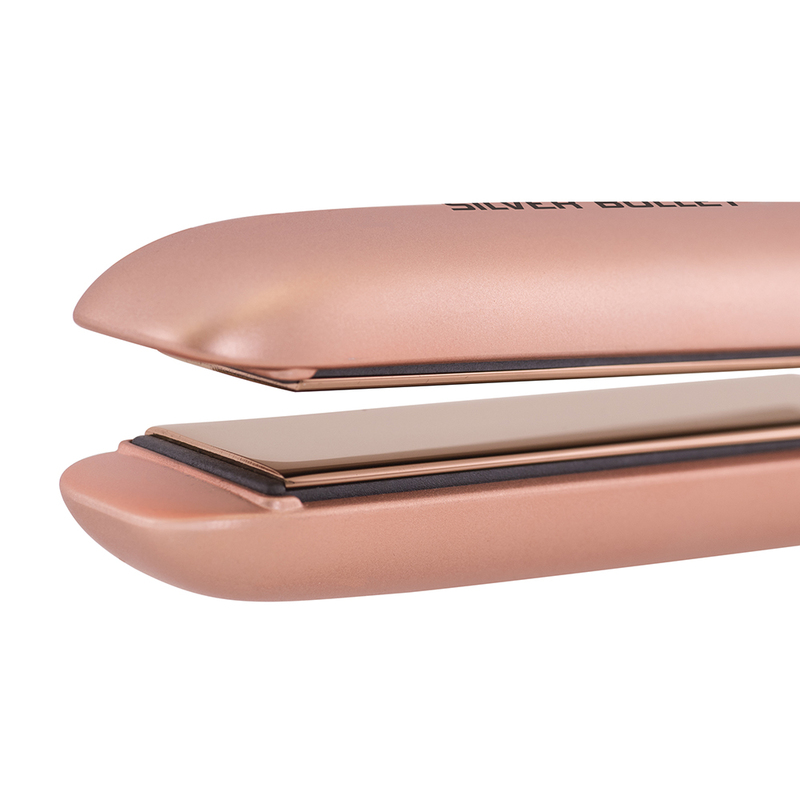 In gorgeous rose gold, the Silver Bullet Titanium 230 Supernova creates irresistibly fast and easy results with 25mm titanium infused plates which instantly heat up to 230˚C. Hotter. Faster. Better. It’s the Silver Bullet difference. For short, spikey looks apply styling gel or spray to the hair and hold the sections up and away from the head whilst straightening. For smoothing frizz, first apply a thermal protectant product. Section hair, approximately 2cm thick. The thinner the section the better the result. Place straightener at the roots and slowly slide through to the ends. Repeat until all desired sections of hair have been smoothed. For curling hair, first apply a thermal protectant product. Section hair, approximately 2cm thick. The thinner the section the better the result. Place straightener at the roots and flip over 180° (upside down). Whilst holding the ends slowly slide the straightener all the way through the section of hair. Catch, twist slightly to reform the curl, then leave to cool. The slower the straightener is pulled through the section, the tighter the curl will be. Repeat until all desired sections of hair have been curled. 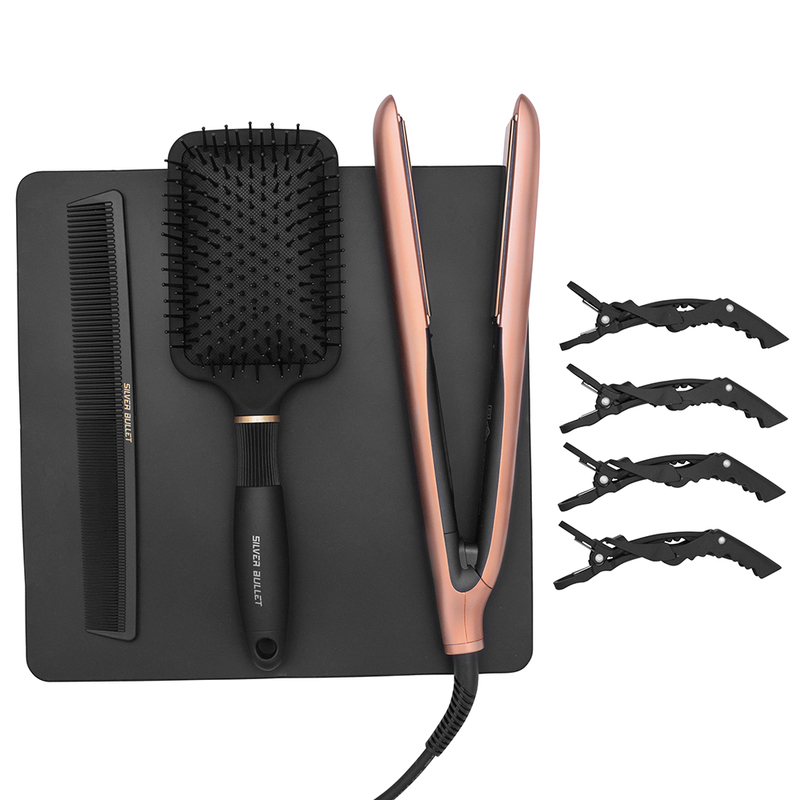 To create volume, first pull each section of dry hair out to a 90° angle from the scalp and then gently move the straightener down to the end of the section as normal. Release the section after a couple of seconds once cooled. To create kicks or flicks, instead of moving the straightener straight down each section use a ‘C’ like motion moving towards or away from the head depending on the desired result. This is, a kick out needs the straightener moving away from the head. A kick under needs the iron moving towards the head. 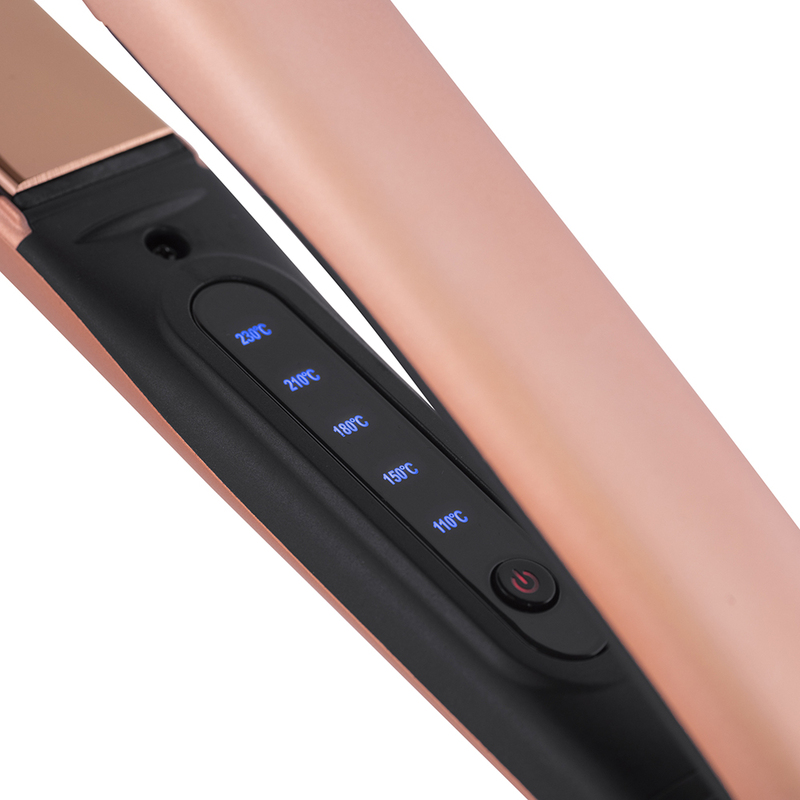 This straightener is dual voltage and automatically adjusts to the proper voltage when plugged into a power outlet. When required, use an adapter plug (not included) with the correct configuration prior to use. 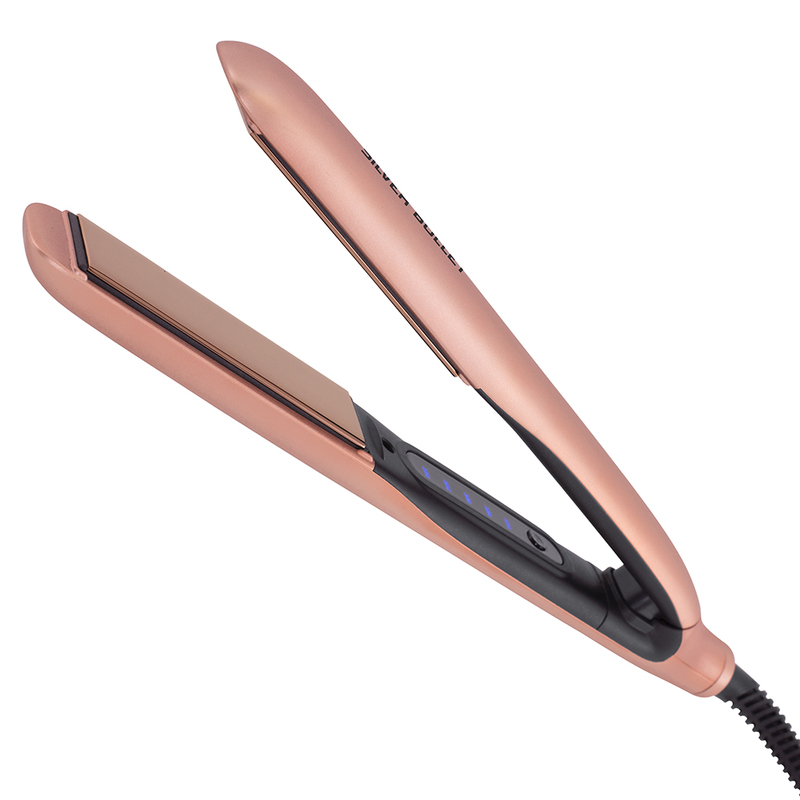 Have a question about the Silver Bullet Titanium 230 Supernova Touch Screen Hair Straightener? Contact us directly via 1800 251 215 or visit our Contact or FAQs pages.